Your bridal bouquet speaks volumes about you. It expresses your personality, enhances your physical beauty and sets the stage for your wedding. We would suggest you spend some time looking at flowers in the bridal magazines and clipping out some photographs to show us. Consider what flowers are going to be in season when you set your wedding date. 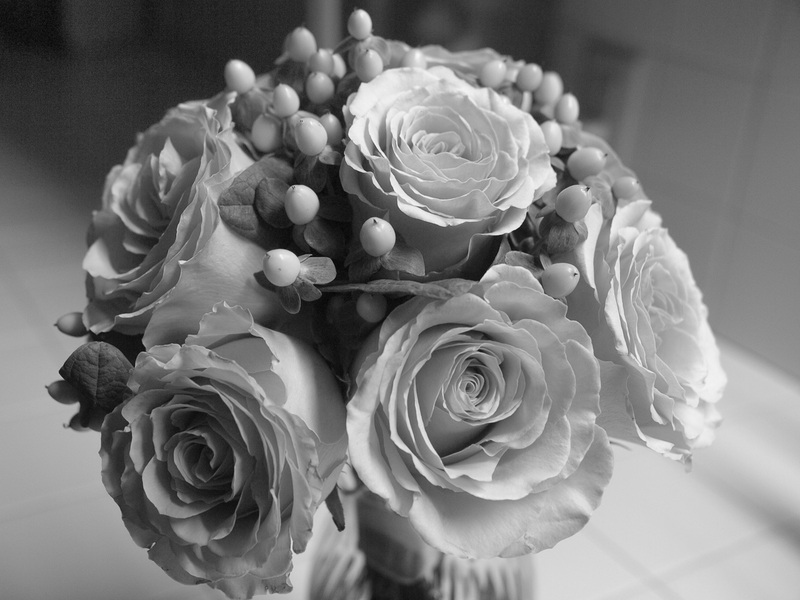 Make some notes on what you see in a particular bouquet that you love. Is there a particular flower that makes you smile? Once you have answered these questions you will have a much clearer idea about the flowers want for your wedding party. Bring or send your photographs to us when you are ready to make your final decision. We may not be able to replicate the exact bouquet but it gives us idea about the feeling you want your flowers to express. 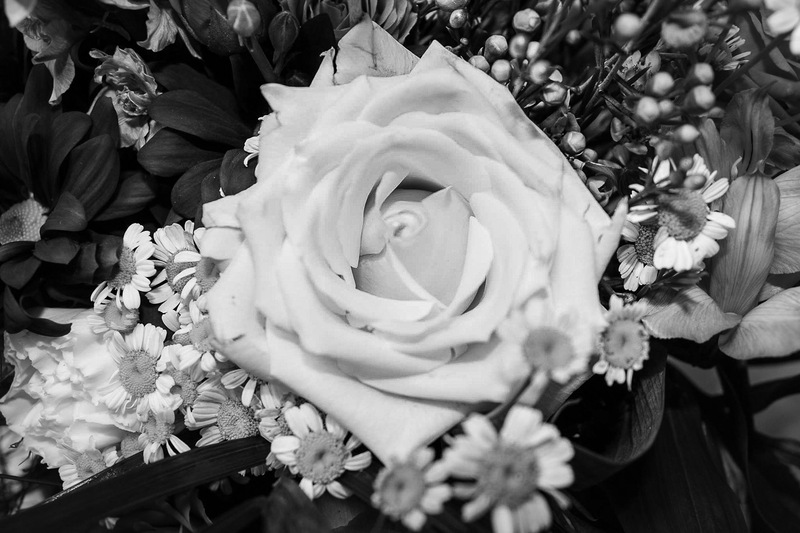 A very simple and tailored look can be demonstrated in an elegant bouquet of roses. There are so many beautiful colors of roses available. If whimsy is your thing, daisies or sunflowers always make everyone smile. Or you may wish to show your fun whimsical side by collecting jeweled pins and interspersing them in your bridal bouquet. Your Bridal Bouquet is your centerpiece. Once you have decided what colors and flowers you are using we can move forward with the other flowers for your special day. If you are doing a larger wedding, don’t forget to plan flowers for your reception table and guest tables. We will provide a list that will give you ideas about where you may want to consider using flowers. 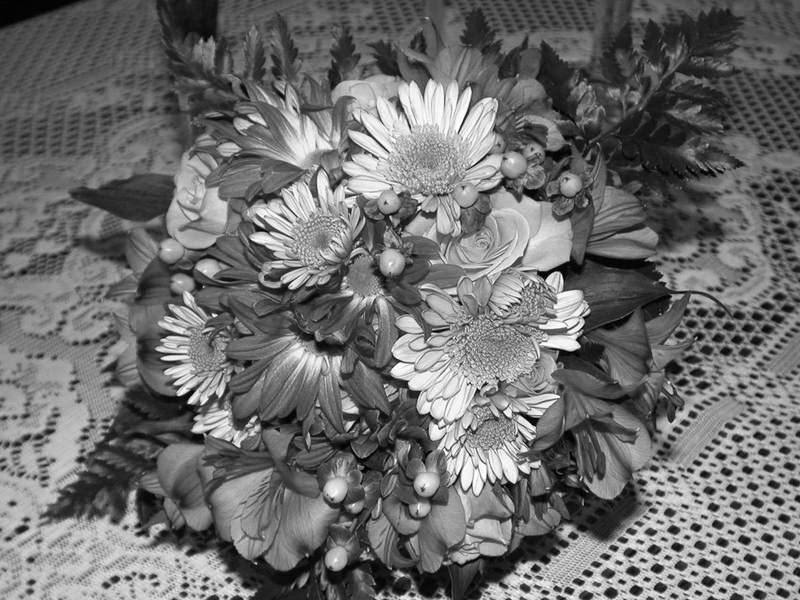 And don’t forget the attendant’s bouquets, and corsages for those special people in your wedding. At Holiday Island Flowers we want to help you create memories of a breathtaking and beautiful wedding. We want to be a part of your special day.